I trained in NLP to Master Practitioner level with INLPTA. This approach uses NLP in a holistic way. 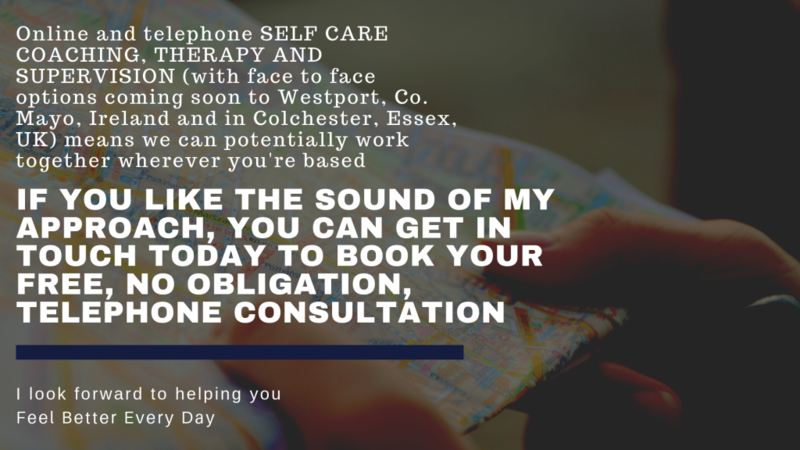 As well as looking at the whole you (exploring not just the area you want to change but how this change may impact on other areas), I will help you ensure your changes benefit other people, too. I trained in Energetic NLP (ENLP) with its creator, Art Giser (see below for more information about this unique approach) and in Behavioural Patterning with Michael Breen. 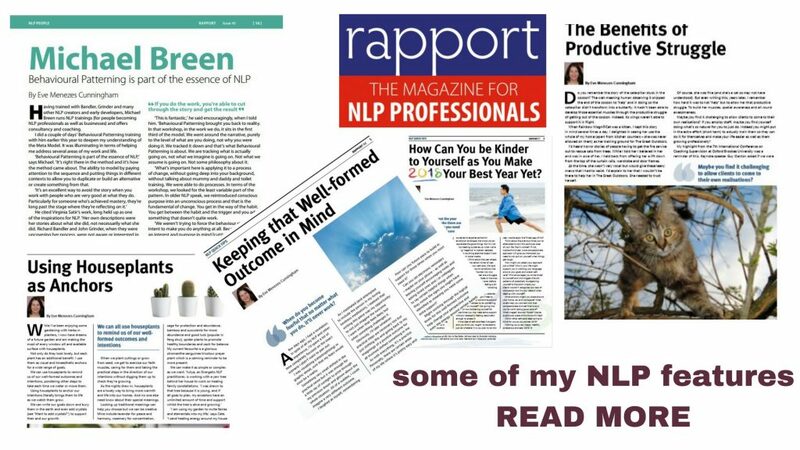 I’ve been on Rapport, the Magazine for NLP Professionals (published by ANLP, the Association for NLP) since 2007, contributing at least one or two pieces per issue. Would you like to work with an NLP life coach, NLP coach and to benefit from neuro linguistic programming? * support you in integrating your new patterns so you can become your own NLP coach. Online or telephone NLP coaching fits naturally within most of the coaching I do (personally, my interest developed after learning aspects of it during my initial coaching training) but if you would like a stronger NLP emphasis in your own coaching process, or you’d like to book some NLP on its own, do let me know. I also incorporate some NLP into my yoga and mindfulness classes, yoga therapy sessions and a range of different workshops. Traditional NLP has its energetic elements – Many people (myself included) have experienced enormous shifts by working with ‘logical levels’, ‘perceptual positions’, doing ‘parts’ work and other techniques. * clear unhelpful beliefs (including karma) and much more.